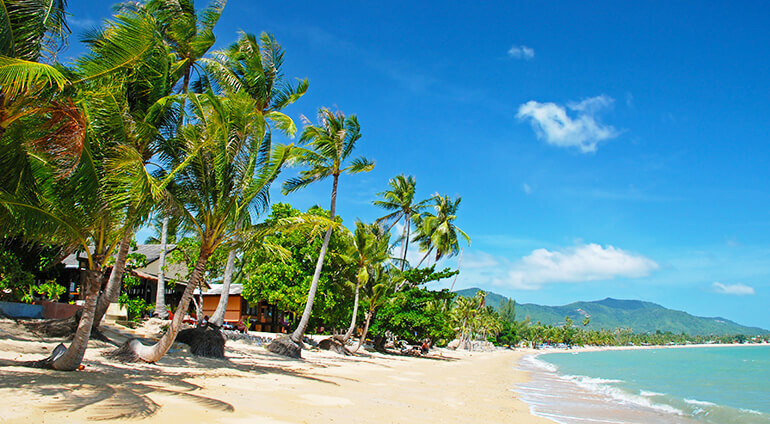 Once a small fishing community, Koh Samui’s white sandy beaches, coral reef and palm trees are now joined by luxury hotels, indulgent spas and some world-renowned nightlife, attracting around a million visitors a year. But despite the influx of everyone from backpackers to seasoned five star resort fans, the island’s paradise sands have retained their charms. Behind the well-manicured beaches packed with sun loungers there are treats in store for those looking for a taste of Thailand, including delicious-smelling street food stalls to hidden Buddhist temples.